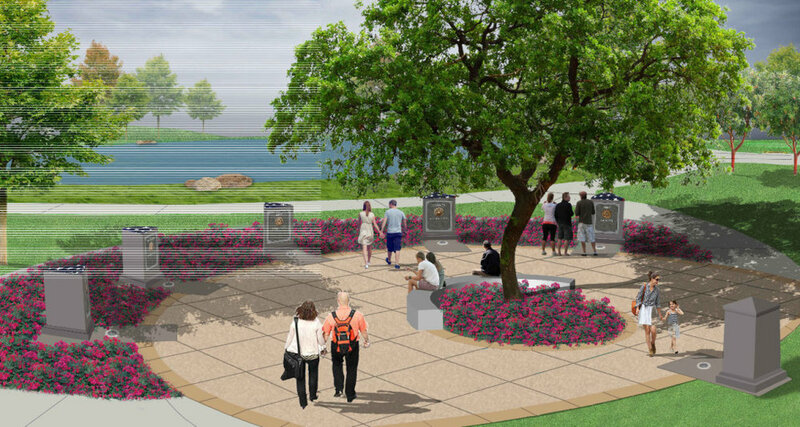 The City Council of Lake Forest voted to approve the design for a veterans memorial in the newly named Veterans Park (formerly Village Pond Park). Five small pillars representing each branch of the military will be positioned around a plaza adjacent to the lake (currently under renovation). Read more about the memorial from OC Register online.